In a most interesting irony, Google bought an ad in the Canadian Globe and Mail newspaper to advertise its search-advertising business, which is in direct competition with newspaper advertising. The point was to show that newspaper advertising doesn’t work. Well if that’s true, why make your point in a newspaper ad? What an ingenious marketing approach! Reach newspaper readers to convince them newspaper advertising doesn’t work. 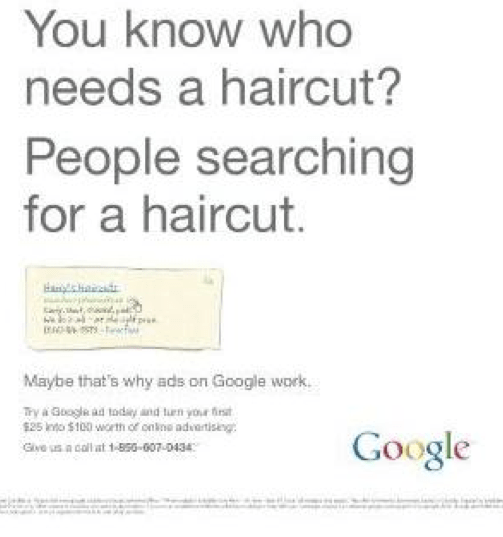 But if Google really thinks newspaper advertising doesn’t work why waste money trying to make their point there? And even more amusing, they included a promotional offer in the ad. So what does this have to do with hospital advertising? Not much really. It’s just ironic and funny. And proves that sometimes as hard as marketers try to make a point, their strategies end up making the opposite point altogether. Sometimes unintended consequences can doom even the most creative and unique ideas.